The CX20 conductivity / EC controller is a convenient and cost effective solution for monitoring and maintaining conductivity. Save space in your panel with the small footprint 1/8 DIN case. Use the two sets of relay outputs to program process control, including management of alarms and chemical dosage systems. 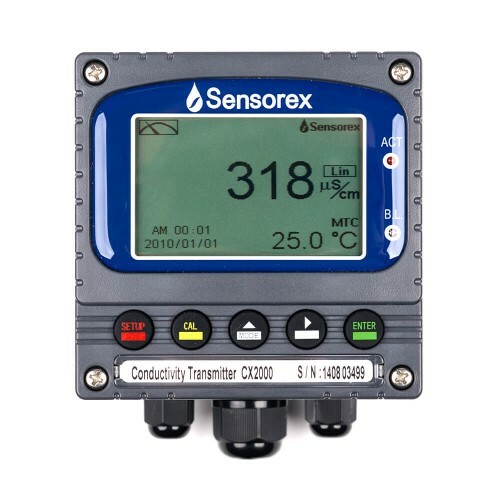 Note: This conductivity controller is only compatible with sensors that have spade lug or tinned lead connectors and 10k NTC temperature compensation. 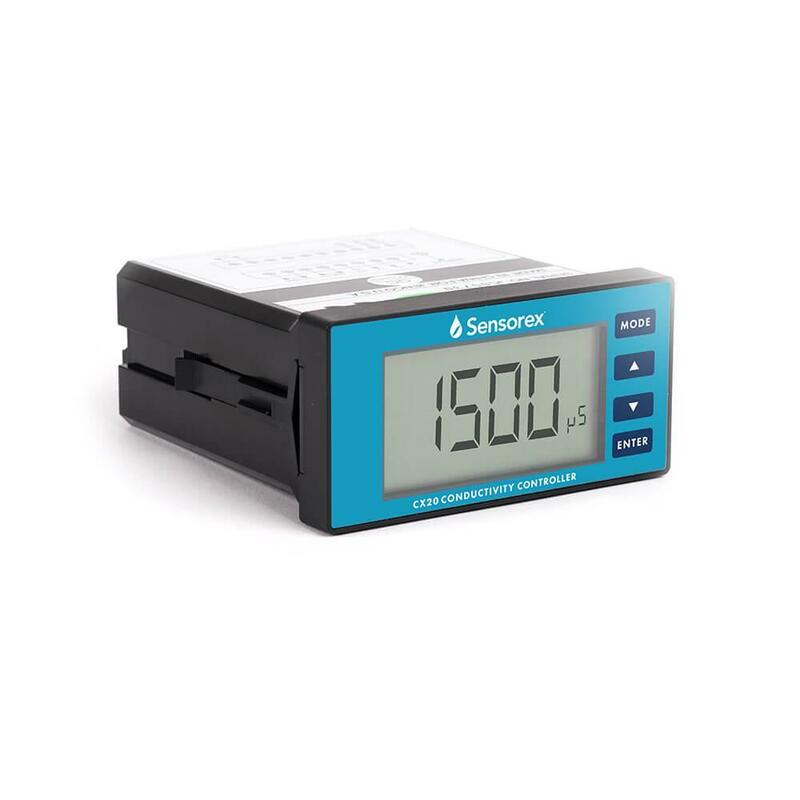 Looking for an EC (electrical conductivity) transmitter? 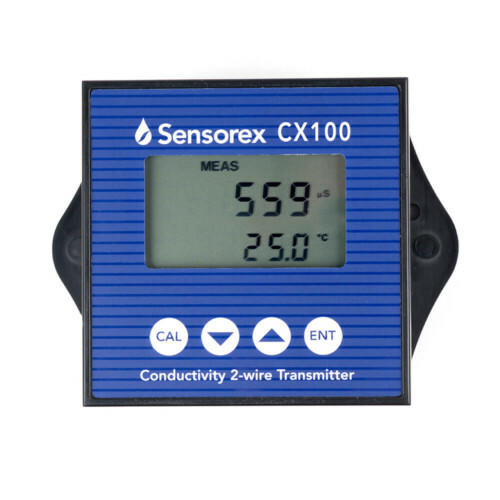 Try our CX10 Conductivity Transmitter with 4-20mA output. Need an EC controller that’s also a 4-20mA transmitter? 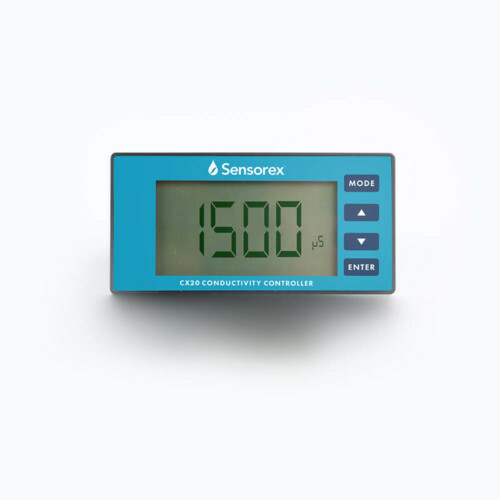 Check out the CX2000 Conductivity Controller.